There are many different points of view and controversies regarding transgenic animals. A few definitive pros and cons are apparent, but there are many arguable ethical issues that arise, as well. Fig. 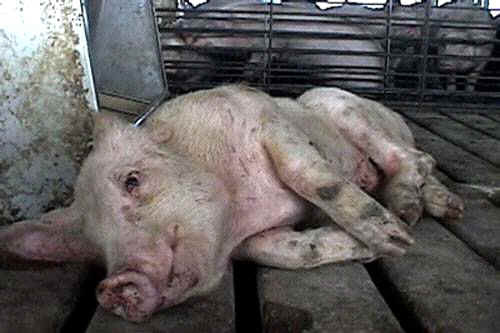 14. depicts a pig who was injected with a gene that is proving to be lethal. These are it's final stages which are spent suffering. · Should there be universal protocols for transgenesis? · Should such protocols demand that only the most promising research be permitted? · Is human welfare the only consideration? What about the welfare of other life forms? · Should scientists focus on in vitro (cultured in a lab) transgenic methods rather than, or before, using live animals to alleviate animal suffering? · Will transgenic animals radically change the direction of evolution, which may result in drastic consequences for nature and humans alike? · Should patents be allowed on transgenic animals, which may hamper the free exchange of scientific research? · Are animals that combine species an unethical change of the natural order of the universe? · Is it unethical to modify an animal's genetic make-up for a specific purpose, without knowing in advance if there will be any negative side-effects? · Does creating animals by genetic engineering mean treating the animals entirely as commodities? 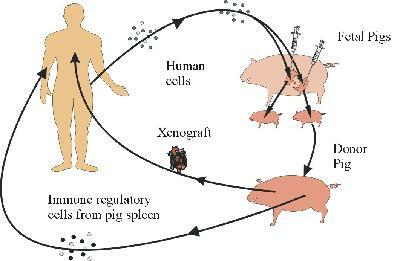 · Is it unethical to create diseased animals that are extrememly likely to suffer? "In either case, the IACUC should determine if the mutant gene will result in a severely debilitating phenotype, if anything can or will be done to amelio­ rate such phenotype, and what endpoints will be used to determine when a mutant animal will be euthanized"